This hi-performance radiator offers superior cooling over the original part, while offering a complete "direct fit" installation. - Rating 5278 btu/m vs. 4115 btu - Note: distilled water & premium coolant must be used. - You may wish to choose a specially formulated two part black gloss epoxy paint applied to your radiator for high temperatures and it has NO effect on cooling. 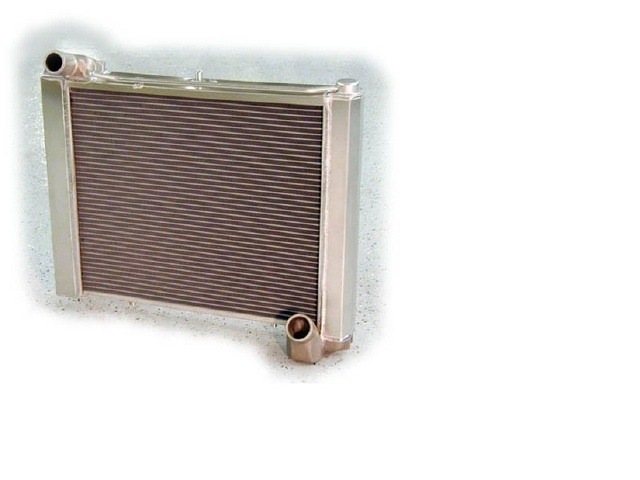 A great option for those who what the advantages of aluminum but the "look" of a stock radiator.